COLOGNE, Germany – Say what you will about Germany's defense spending, the ritual of U.S. leaders trashing Berlin is almost becoming something of a unifying force within the alliance. The country is far from on track when it comes to reaching the military budget target agreed by all allies: 2% of gross domestic product by 2024. As expected, U.S. Vice President Mike Pence called Germany out for its lackluster defense expenditures on the eve of a NATO ministerial in Washington this week, referring to a draft budget projection in Berlin that would put the country at 1.3% or so by that time. 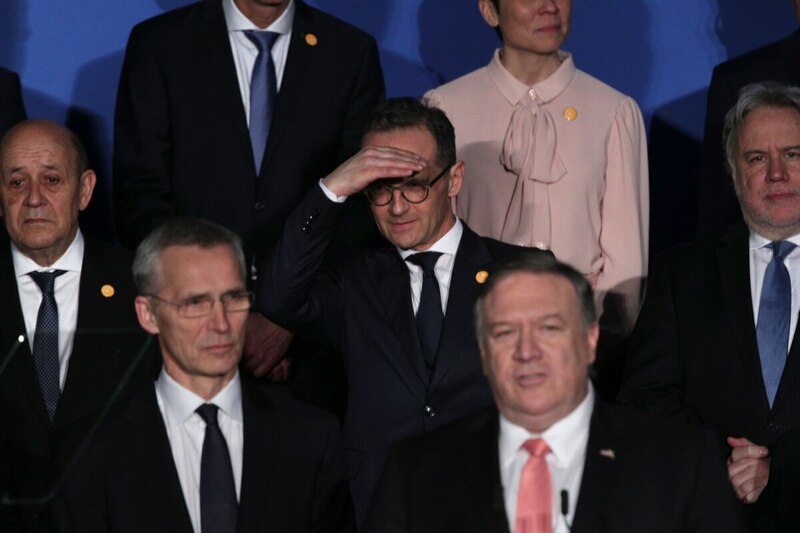 And as expected, German Foreign Minister Heiko Mass responded in the same way that his government always does: re-subscribing to the spending commitment, throwing up his hands over competing domestic priorities, and pleading to widen the scope for measuring German contributions to NATO beyond the defense budget alone. “We intend to keep our word,” Maas said in Washington on Wednesday afternoon, having just hopped off the Amtrak from United Nations business in New York. For good measure, he threw in a reference about the intricacies of the German budgeting process, as if hoping that its opaqueness would one day give way to even a 1.5% spending level. That is the percentage figure almost tacitly accepted by some European alliance members who just want to see Berlin make an honest effort. Getting to the NATO-required spending of 2% by 2024 would require such a massive influx of military spending in such a short amount of time that there would be good reason to wonder if the Bundeswehr could absorb it to good effect. There is no more hoping to fly under the radar with a missing half percentage point now. Key allies in Europe had signaled that they could defend a German exception for a 1.5% target against the White House, but the news from earlier this spring that Berlin's trajectory is now even lower was a significant snub to them, said Christian Mölling, a senior analyst at the German Council on Foreign Relations in Berlin. There is also a fear here by European NATO members that if Germany manages to anger President Trump enough over underspending, his rage could target the alliance as a whole. “There is fear of a spill-over effect,” Mölling said. When it comes to spending and the perception of threats to NATO, "We are on a different planet than all the other allies,” he added. At the same time, things could have been far worse this week. Let us remember that the ministerial and surrounding festivities for NATO's 70th birthday were choreographed specifically to avoid giving Trump a platform for the kind of acrimony that permeated the last day of the Brussels summit last year. And that plan has largely worked. “Nothing happened, and everyone is happy about that,” said Mölling when asked about the gathering's lasting effect. NATO Secretary-General Jens Stoltenberg helped persuade Trump in Brussels to take alliance-wide spending increases to the bank as his personal achievement, averting a catastrophic implosion of the summit at the last minute. The Norwegian emerged as a key figure again this time around, stoically reciting the mantra that all members – read: Germany – would be held to their commitments while dutifully lauding Berlin’s ongoing alliance contributions. Stoltenberg delivered a rousing speech before a joint session of Congress, viking jokes and all, that managed to revive for a moment the spirit of multilaterism against the backdrop of a U.S. administration known for its transactional foreign policy. Germany has its own internal struggles ahead when it comes to defining a budget commitment to NATO, which all members reportedly reinforced in this week’s ministerial communique. The final due date for the spending increase is still several years away. Until then, there will be more alliance events for Berlin to muddle through. If nothing else, that spectacle seems to keep everyone at the table talking about moving the alliance forward, for now.